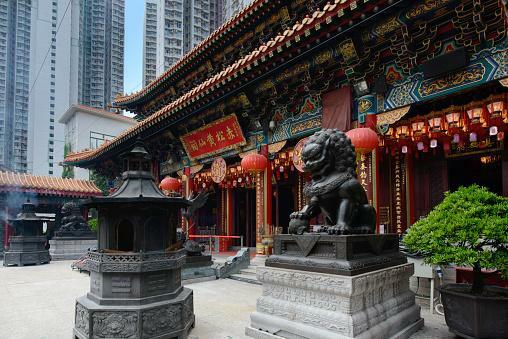 Feng shui is as much art as science and often seems to fall into some netherworld between the two, leading to questions about its legitimacy. There is science on the elements of feng shui, even if feng shui itself is not rigorously researched. But there is also criticism of an industry which is not regulated and is often capriciously interpreted and inexpertly practiced. Adherents and consultants can point to a number of valid arguments for feng shui's efficacy by citing longevity and analogous research. Feng shui is a historic art form, a tradition deeply embedded in thousands of years of Asian culture. It encompasses related fields in ancient astronomy, Taoist teachings, geomancy and geographic symbolism, Chinese folk traditions, and I Ching divination. The enduring existence of feng shui is well-documented -- it is variously referred to as a "science" and an "art form" -- and it is embraced at the highest levels of Asian commerce, design, and architecture today. Biophilic design is based on the human need for contact with nature, natural materials, and forms in the interior environment. People are happier and healthier when these elements, central to feng shui design, are prominent in their homes, offices and other spaces. Biophilic design results in greater worker productivity; better academic performance; faster healing from illness, surgery or trauma; and celebration of certain buildings for their enduring, nature-based design features and forms. Studies that examine the human response to water features in the environment, whether fountains, water walls, fish tanks or artificial ponds, find that the overwhelming reaction is positive. Water features lower stress, boost positive mood and energy, and generally create a calming, focused space for work or relaxation. An examination of the human reaction to spaces and shapes -- their forms and the arrangement of things in a space -- uses theaters and the audience as a model. Rectangles and squares enhance confidence and a sense of security; triangles, pentagons and pyramids are more dynamic and energizing but less reassuring; empty or uncluttered space is both serene and dramatic; divided space can be interesting, unsettling, or claustrophobic, depending on the arrangement and amount of objects in the space. People have an instinctual response to the aesthetics -- the presence of beauty or pleasing form, chaos, complexity or coherence, balance or imbalance -- in their environment. Scientific research attributes this universal tendency to evolutionary psychological adaptations to the surrounding environment -- both interior and landscape. There are even architectural firms that advertise their services as "epigenetic architecture," design that considers the gene-altering effect of various environmental factors on heritable DNA. The siting of buildings, the surrounding nature and built environment, including streets and traffic flow, the arrangement of doors, windows, and furnishings are all feng shui principles in sync with this view of the significance of human habitats. Feng shui skeptics abound -- and they point to proof that feng shui doesn't work, or doesn't deliver on its specific promises. This rejection of feng shui isn't new, but it is deep-seated. In China's Cultural Revolution, from the 1960s to the 1970s, Mao Tse-tung forbade the practice of feng shui, dismissing it as an artifact of China's feudal past. Anyone who dared to practice feng shui faced persecution and re-education. The legacy of this condemnation is that feng shui is still unregulated in China -- there are no certifications or licenses for masters or practitioners. In many quarters, it is considered a superstition. It is illegal to advertise feng shui services and a widely publicized attempt by Nanjing University to sponsor a feng shui educational program was shot down due to a loud public outcry against the practice. Skeptics cite the expense of rearranging decor or entire buildings (or cities) to honor the dictates of feng shui. The lack of scientific proof that feng shui works is proof to them that it doesn't. One example they give is the difficulty of aligning with magnetic North on the compass. This is an important orientation point in feng shui. But true North isn't a fixed direction; it shifts as the earth's poles shift -- due to variances in magnetic force. So, a house carefully aligned wight the compass will, sooner or later, be out of alignment -- and tweaking it on its foundation is not likely to happen. Even feng shui consultants have their problems with the way simple "remedies" are proposed by unregulated feng shui experts, and embraced by those looking for trendy solutions. Sticking a little crystal in your relationship corner or parking a money-gobbling golden toad next to the cash register isn't enough to reverse unlucky fortunes. The criticism that feng shui is no quick fix and is instead a complex art form underscores the faddishness of some applications and the pitfalls of regarding an ancient tradition as a clever but transitory craze. Feng shui has staying power, no doubt about that. It relies on powerful symbolism to support its claims, and appeals to practical as well as figurative perspectives. 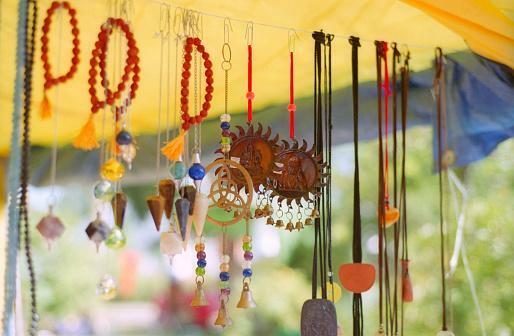 One determinant of how well feng shui might work for you is your own belief in it. 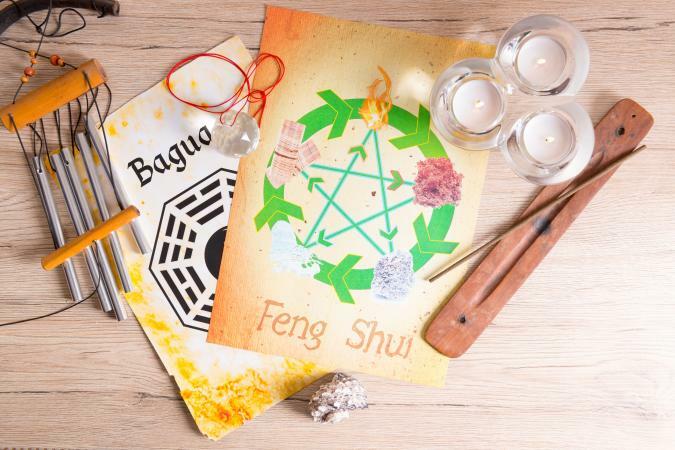 If you accept the underlying scientific tenets on which traditional feng shui is based, you may be willing to overlook the absence of definitive "proofs." Demonstrable fortuitous results from a feng shui application can be very convincing. So can arguments that feng shui's claims, not subjected to methodical scientific testing, are constructed of hogwash and hearsay. "Bah humbug!" or "Hand me that bagua" -- it's up to you.